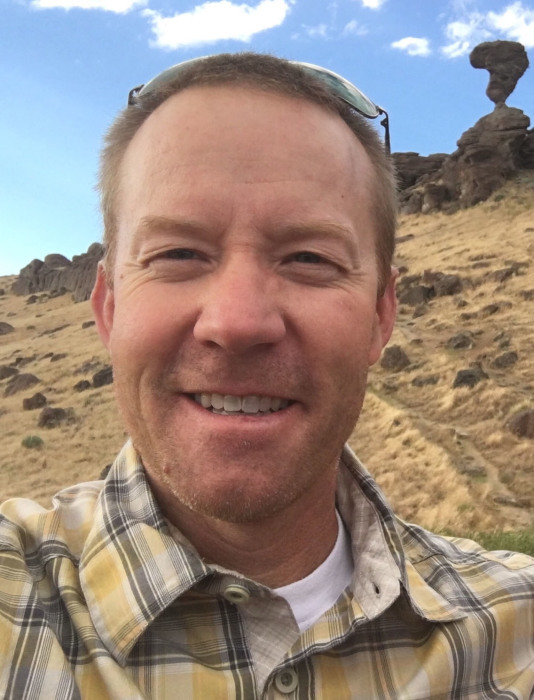 Derek F. Steadman, 45, passed away unexpectedly in a tragic bicycle accident, doing one of the things he loved best. Derek was born in Helena, Montana to Ken and Ruth Steadman, the second of four children. He had a happy childhood growing up in West Jordan, Utah, surrounded by his three siblings and many well-loved friends. From his youth he found great pleasure in playing the bassoon, and by the time he graduated West Jordan High School, he was a Sterling Scholar in music and played with the Mormon Youth Symphony. In his teens he also developed a passion for cycling that stayed with him throughout his life. Derek loved serving in the Netherlands, Amsterdam mission, and continued Dutch traditions with his own family like putting out wooden shoes for Sinterklaas Dag and saying, “Smakelijk ete!” before each meal. Upon his return from Holland, he married Stacie Smith in the Logan LDS temple. He continued his schooling, playing the bassoon and supporting his growing family, studying at Brigham Young University and Utah State University, graduating with a bachelors’ degree in Liberal Arts and Sciences. Derek and Stacie welcomed five children into their family, living in Thatcher and later Preston, Idaho. Derek loved his children and was a wonderful father and husband. He began working at Treasure Canyon Calcium before his marriage. He was excited about the business, and within a few years he worked his way up to managing the company. After 22 years there he and Stacie purchased the business in 2016--finally accomplishing a long-time dream of his. Derek never lost his love of music. He played frequently with community orchestras, pit orchestras, and the American Festival Orchestra, as well as sharing music often in church. Derek had a strong testimony of Jesus Christ and served in many callings in the Church of Jesus Christ of Latter-day Saints. He had been called as the bishop of his ward less than four months before his passing. He loved so many people and was known for his genuine way of listening and compassion. Derek will be remembered for his intelligence, strong work ethic, wit, and quiet goodness. He is survived by his wife Stacie and children: Megan, Michael Darrington, Miles Derek, Marcel Robert, and Macie Leone. He is also survived by his parents of South Jordan, Utah; and siblings, Jens (Satomi Fukuda) of Lehi, Utah, Crystal Martin (Greg) of Riverton, Utah, and Seth of Salt Lake City, Utah. Funeral services will be held Saturday, August 25, 2018 at 11:00 a.m. at the Preston First Ward Chapel of the Church of Jesus Christ of Latter-day Saints, 213 South 200 East, Preston, Idaho. The viewing will be Friday, from 6:00 to 8:00 P.M. at the church and Saturday, August 25 from 9:30 to 10:30 A.M. also at the church. Interment will be in the Preston Cemetery. Memories and condolences may be shared with the family at webbmortuary.com. Derek’s family wishes to thank the many family, friends, church family, business friends, cycling buddies, and everyone who has shown such kindness.